Our function hall is perfect for any family or small company event. We have a full service bar and plenty of room for tables, food and dancing. 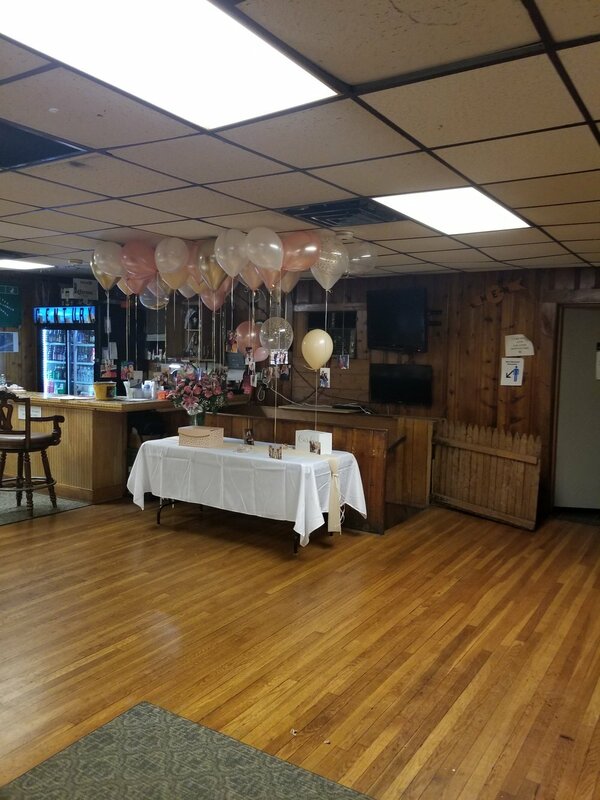 You can bring in a caterer, bring in your own food or ask us today about Century Sportsman's Club Catering Services. During the nicer months ask about adding the use of the outdoor space adjacent to the hall with a staircase leading directly to it. This is a flat area that could accommodate tables, corn hole and there is a horseshoe pit already there. This can make a nice addition to your hall rentals. Ask us today for any special requests!!!! Please note: Due to our Haunted Hayride and Spooky Walk event, the hall is not available for rental during the month of October. Thank you.